Israeli prison forces broke into the wards 2 and 4 in Nafha desert jail on Sunday night at the pretext of looking for mobile phones. Human rights sources said that dozens of Israeli soldiers stormed the cells and assaulted the prisoners for protesting the search. They said that the soldiers searched the prisoners’ belongings and deliberately damaged them. The sources said that the prisoners threatened to escalate protests in the event the prison administration did not stop harassing them at trivial pretexts. The Israeli occupation forces (IOF) at dawn Monday launched violent raids in different West Bank areas near Jenin and Nablus cities and kidnapped three Palestinians. Local sources reported that dozens of Israeli troops broke into and ransacked the house of Mohamed Abu Baker in Rummana village before they took him in chain to an unknown place. The IOF also established a military checkpoint near Yabud village and interrogated a 30-year old man named Mutassim Yehiya before handing him a summons from the intelligence. Different other areas of Jenin such as the villages of Methlon, Ceres and Sanur also saw intensive deployment of Israeli troops and patrols. Other two young men were also reportedly kidnapped during raids in Beta village near Nablus city. Consequently, violent clashes broke out at dawn between young men from Beta village and the invading troops. In a separate incident on Sunday, Israeli intelligence officers under military protection stormed Silwan district in occupied Jerusalem and handed many young men summonses for interrogation, local sources said. On the evening of the same day, the IOF raided a number of homes in the nearby town of Issawiya in Jerusalem and kidnapped a young man named Mohamed Mustafa. Local sources said the military campaign in Issawiya has been ongoing for 13 days and the Israeli troops are still deployed in different parts of the town. In another incident, Israeli bulldozers owned by the water company Gihon removed many water meters and cut water to homes in Issawiya town at the pretext that the resident failed to pay service arrears. Secretary of the Palestinian legislative council Dr. Mohammed Al-Ramahi has appealed the Israeli six months administrative detention sentence against him. Sources at the PLC change and reform bloc said that the Ofer military court would look into the appeal on Monday. They said that the court would re-consider the “oppressive” sentence against Ramahi, which was passed on 29/11/2012. 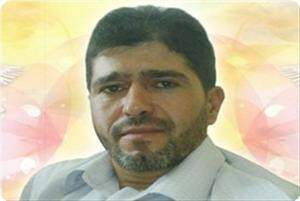 The Israeli occupation forces arrested MP Ramahi on 23/11/2012 less than four months after his release from occupation jails where he served 20 months administrative detention without charge or trial. A Palestinian human rights organization called on human rights groups working in the field of prisoners, to collect all the legal articles pertaining to administrative detention, and to study them with experts in international law under official Palestinian auspices. The Palestinian Center for Prisoners' Studies called, in a statement on Monday, to activate the legal fund, and seek the help from specialist in international law to study the file of administrative detention, in addition to activating the legal departments in the prisoners’ ministry for reporting violations in international courts. The center also called for activating the role of human rights organizations, especially the Arab Lawyers Union and the legal department of the Arab League, which recommended in the Baghdad conference for activating the legal role to protect the prisoners. It stressed the importance of determining the legal status of the Palestinian prisoners, by differentiating between being detainees or war prisoners, and by working to confirm the legal status in international forums in favor of the prisoners' future. The organization stressed the need to support the administrative prisoners financially to cover the expenses of the lawyers defending the Palestinian prisoners in Israeli jails. Israeli intelligence summoned Sheikh Falah Nada, a Hamas leader, and his eldest son Taher to the intelligence headquarters on Tuesday morning. 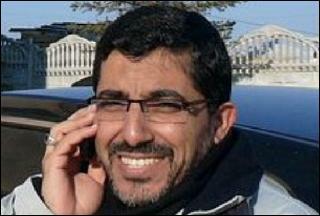 Close family sources told the PIC reporter that an Israeli intelligence official reached Sheikh Falah on the phone on Monday and asked him and his son to come to the Ofer prison to meet an intelligence officer less than a month after his release from a two-year administration detention. 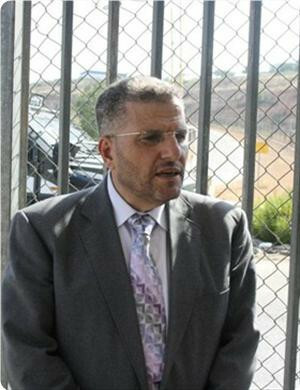 Sheikh Falah served 14 years in Israeli jails at separate intervals and survived two assassination attempts in 2001 and 2002. He was on the run for seven years before his arrest. He was subjected to cruel interrogation rounds for two months upon his arrest including 25 days in military interrogation. The violent interrogation methods left their scars on Sheikh Falah who suffers from pain in the neck, back, arms, and legs as a result of disc herniation. The Palestinian Center for Prisoners' Studies condemned the French refusal to allow the holding of a solidarity event in support of the Palestinian prisoners in Israeli occupation jails, especially with those on hunger strike. The center considered the French refusal as complicity with the executioner against the victim who is suffering due to the occupation racist policies which aim to hide the Israeli crimes against the prisoners. The Center said that France has banned the "coalition of Sheikh Ahmed Yassin", which includes Muslims, Arabs and French activists, to organize a solidarity activity in support of the Palestinian prisoners in Paris, where the French Interior ministry has deployed hundreds of French policemen in the place that was supposed to witness the demonstration, and they prevented them from installing the loudspeakers in the area and drove them from the scene. The French policy did not stand at the same distance between the Palestinian people and the Israeli occupation, he pointed out, adding that they have always stood with the Israeli policy and supported the Israeli aggression against the Palestinian people, citing that Paris mayor has named in the year 2008 the soldier who was detained by the Palestinian resistance in Gaza Gilad Shalit as an honorary citizen of Paris, without a mention the thousands Palestinian prisoners' suffering in Israeli occupation jails. Meanwhile, a Palestinian youth group called on citizens to hold an all-night vigil on New Year's Eve in public squares in solidarity with the prisoners in Israeli prisons, especially in Ofer military prison and west of Ramallah, the Negev desert prison located in the south of the occupied Palestinian territories in 1948. The Palestinian youth group said on its page on "Facebook" that hundreds of Palestinian prisoners spend the cold winter in tents in Ofer and Negev prisons. That is why dozens of young people "will go out of their warm homes and spend the night in public squares to bring their voice to the world". The European Network for the Defense of the Palestinian prisoners' rights (UFree) declared that it follows up the new information released by prisoner Dirar Abu Sisi, the deputy director of the Gaza power plant, which proves the involvement of some security services of a number of countries in the kidnapping of Abu Sisi. Al-Damir Association for Human Rights revealed on Thursday 27th December 2012, some details about the kidnapping operation that targeted Abu Sisi in Ukraine carried out by elements of the Israeli intelligence service (Mossad) in February 2011. Upon, the released information by Abu Sisi, UFree reckons that it is a must for Court Systems in the countries he mentioned to investigate what he exposed. It further calls for investigating these security services and their officials as they are responsible for what happened to Abu Sisi. Ufree has renewed, through its website, its international campaign for the release of the isolated prisoner Abu Sisi, which aims to highlight the suffering of these isolated captives and to expose the occupation procedures against Palestinian prisoners, including isolation amid extremely difficult circumstances. UFree called on people to sign the International petition against solitary confinement and arbitrary detention practiced against Palestinian prisoners in Israeli jails. UFree Network also called on Human Rights organizations to immediately interfere and release Abu Sisi "who is illegally jailed and exposed to torture and suffering." It also called them "to open an investigation on the information declared by Abu Sisi." A Palestinian detainee from Jenin was taken from Jalama detention center to hospital after his health worsened with no word about his condition. Another detainee released on Saturday told the family of Mohammed Adam, 27, that their son was taken to hospital after two weeks of interrogation in Jalama jail. The step reflects the tragic conditions of detainees in that notorious jail during interrogation rounds. Jalama is the main interrogation center for prisoners taken from north of the West Bank and lacks simplest human needs. Israeli occupation forces (IOF) arrested three Palestinian youths including two brothers in a village to the east of Jenin after raiding their homes at dawn Sunday. Local sources said that IOF soldiers in a number of armored vehicles stormed the village of Fakua and arrested the three young men, two of them only 17 years old, and burst into the home of Salah Abul Abed and savagely searched it. The sources said that the arrest campaigns in the village increased after confrontations with the IOF recently during which young men threw stones at the soldiers. Meanwhile, other IOF units broke into nearby villages of Beit Qad and Deir Abu Da’eef but no arrests were reported. Israeli occupation forces (IOF) arrested three Palestinians and summoned a liberated prisoner in the West Bank over the past 24 hours. Local sources told the PIC that IOF soldiers stormed Daheria village, south of Al-Khalil, and broke into the house of Mohammed Al-Tal, 20. They said that the soldiers took the young man away after searching his home. 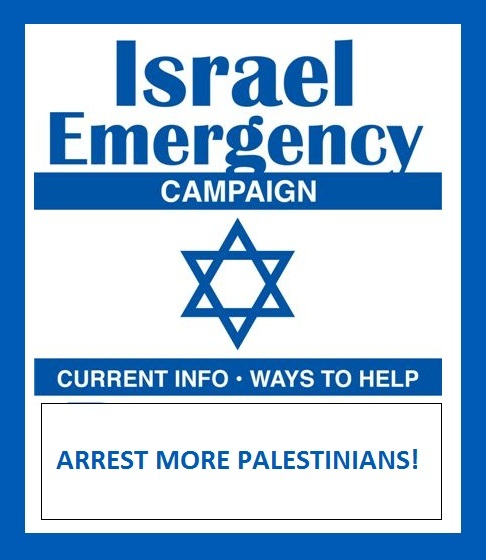 The sources pointed out that Tal works with the PA security apparatuses, and is the sixth security element to be arrested by the IOF in less than a week. Meanwhile, two other Palestinians were detained in Nablus on Saturday night on suspicion of tossing firebombs at IOF patrols south of Nablus, Hebrew press reported on Sunday. It said that a homemade pistol, two knives, and one more fire bombs were found in the possession of those two young men, without mentioning their names. In another development, IOF soldiers broke into the home of a liberated prisoner in Beitunia, west of Ramallah, at dawn Sunday and handed him a summons. Eyewitnesses told Quds Press that Ahmed Qutaina was released from Israeli occupation jails only ten days ago after almost two years in captivity for affiliation with the popular Front for the Liberation of Palestine. Family members said that IOF soldiers burst into their home at dawn and searched it thoroughly for Qutaina’s mobile phone. They said that an officer then questioned Qutaina for hours before handing him the summons. A Palestinian prisoner from Doheisheh refugee camp in Bethlehem, held in Raymond detention center, decided to file a complaint against an Israeli jailer who had deliberately caused the amputation of parts of his fingers. The incident took place while the prisoner Khalid Mohammed Ahmed Khalawi had been trying to fix a door of a room in the jail, as part of his work, when a jailer saw him behind the door and deliberately pushed the door with his foot with all his strength, which resulted in cutting parts of two of the prisoner's fingers. 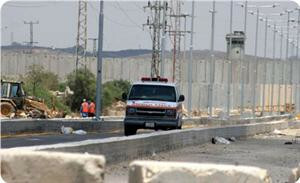 The captive told a lawyer for the Palestinian prisoner’s society that the prison administration did not treat his injury immediately, noting that he was transferred to Soroka Hospital after five hours from the incident and that the doctors started treating his wounds two hours after his arrival to the hospital. 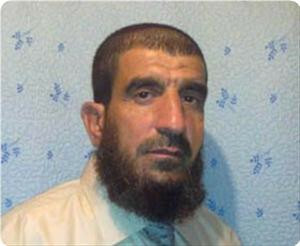 The prisoner Khalid Khalawi has been detained since 11th March, 2002, he has been sentenced to thirteen years. The Israeli Salem military court, north of Jenin, has sentenced three Palestinian children to three months behind bars after charging them with throwing stones at Israeli occupation forces. Local sources in Qalqilia’s Azun village, the hometown of the children, said Saturday that two of the three children were 16 years old and one was 15 years old. The same court extended the remand of 14-year-old Ihsan Abed from Kufr Dan village, Jenin district, and released his brother Osama, 13, after leveling a 3000 shekels fine on him. 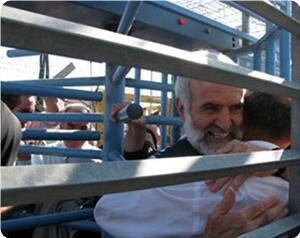 Both were taken from their family’s farmland near the separation wall, which is close to their village. Four Palestinians from Abu Dis to the east of occupied Jerusalem were arrested at the hands of Israeli occupation forces (IOF) on Friday at the site of a confiscated land lot. Local sources said that Palestinians were marching peacefully after the Friday congregation from that piece of land between Abu Dis and Sawahra Al-Sharqiya when IOF soldiers attacked them. 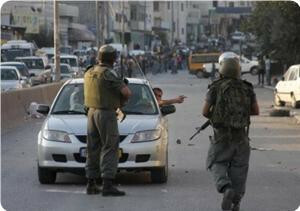 They said that four Jerusalemites were detained following squabbles with the attacking IOF soldiers. The sources pointed out that owners of the confiscated land along with representatives of a number of national forces and nearby inhabitants took part in the march that started with the Friday congregation at the site of the confiscated land lot. Detained Hamas leader Abbas Assayed has refused to give an interview to Israeli reporters, the Ahrar Center for Studies of Prisoners and Human Rights said. The Hamas leader said in a letter that on the last day of the Israeli war, waged recently on the Gaza Strip, he had been urgently summoned to the office of the prison warden to be interviewed by a number of journalists. The reporters were Avi Schrov from the Ha'aretz newspaper, and Zvi Ihzakila correspondent of the Hebrew Channel 10, in addition to a cameraman. Abbas Assayed revealed that they wanted to conduct a TV interview with him for 45 minutes to talk about various issues on the arena but he refused, pointing to the state of war and the participation of the Israeli media in this war waged against the Palestinian people. He also noted that the Israeli media is far from objectivity, credibility and professionalism, adding that that the prisoners' experiences with the Israeli journalists in the mid of the last decade have not been encouraging. Dozens of citizens protested in front of the Muqataa in Ramallah on Saturday afternoon, at the moment of the arrival of Secretary-General of the Arab League Nabil al-Araby and Egypt's Foreign Minister Mahmoud Kamel. The protesters said they aim to send a message to the authority of Ramallah and the Arab League stressing the need to support the hunger striking prisoners, especially Samer al-Issawi and Ayman Sharawna, as they are an integral part of the Palestinian cause. They held Egypt responsible for the prisoners' conditions, being the sponsor of the prisoners’ exchange deal and the party responsible for the protection of the ex-detainees, who have been re-arrested. The demonstrators raised photos of the hunger striking prisoners and banners demanding freedom for all captives. One of the protesters denounced the silence and inaction by the Arab League and PA's leadership toward the issue of the prisoners, and said "PA must form a Palestinian delegation to go to Egypt, in order to find a solution to the captives' issue." National and Islamic forces in Anin village, west of Jenin, organized a march in solidarity with Palestinian hunger striking prisoners in Israeli occupation jails. Marchers walked from the main mosque in the village after the Friday congregation into the village’s streets chanting slogans in support of the five Palestinian prisoners on hunger strike. Families of the hunger strikers along with village notables and activists were at the forefront of the march that called for the release of those prisoners. Ahmed Yassin, speaking on behalf of the national and Islamic forces in the village, held the Israeli occupation authorities fully responsible for the lives of those prisoners. Meanwhile, the Palestinian prisoner’s association and families of Jerusalemite detainees staged a sit-in at the Red Cross premises in occupied Jerusalem on Thursday in solidarity with the Palestinian prisoners. An Israeli court in occupied Jerusalem decided on Thursday to postpone looking into the case of prisoner Samer al-Issawi, 30, from the town of Issawiya in occupied Jerusalem. 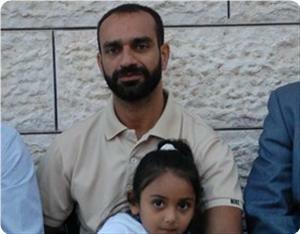 Issawi has been on an open-ended hunger strike for 150 days, in protest at his re-arrest after being released under the prisoner exchange deal, under which Hamas released the Israeli soldier Gilad Shalit in exchange of 1027 Palestinian prisoners who were released from occupation jails. The lawyer Shirin al-Issawi, prisoner Samer's sister, considered that postponing the trial as part of the policy of procrastination, especially that the Israeli intelligence has failed to prove that Samer was guilty, and asserted that the court and the postponement have been used as means to extend the detention of her brother. She accused the occupation of exposing her brother's life to danger, pointing to his serious health condition due to his ongoing hunger strike. Al Tadhamon Foundation for Human Rights revealed on Thursday more details about the kidnapping of the captive Dirar Abu Sisi from Ukraine by elements of the Israeli Mossad on 18th of February 2011. Captive Abu Sisi had personally informed Al Tadhamon foundation's lawyer Muhammad Abid about these details during the laweyer's visit to Ashkelon solitary confinement on Wednesday. The lawyer quoted Abu Sisi as saying: "few days before the kidnaping, I decided to travel with my wife and one of my kids to the Ukraine in order to submit the required documents for residency there, as my wife holds the Ukrainian citizenship." He continued that he decided to travel from Gaza to Egypt and from there to Jordan in order to visit his parents and then travel from Jordan to Ukraine. Abu Sisi told Al Tadhamon Foundation's lawyer that he took the train heading to Kiev on Friday night to meet his brother, when three Ukrainian policemen arrested him in the train, took his passport and ordered him to leave the train in Poltava after confiscating his belongings. Dozens of policemen were waiting for Abu Sisi in Poltava where he was attacked and then transferred to an interrogation center to be interrogated for more than 6 hours. The Palestinian engineer said that he was taken, handcuffed and blindfolded, to the airport and held in a very small room in a plane, until he suffocated and fainted. He arrived to the occupied territories and was taken to the Petah Tikva interrogation center, where he was informed that he was under the Israeli intelligence arrest. Abu Sisi noted that upon his arrival to the Egyptian territories, after passing the Rafah border crossing, he felt he was being followed. He said that once he arrived to the Jordanian airport, he was arrested by elements of the Jordanian intelligence that blindfolded him and took him to one of the interrogation centers, to be interrogated for 14 hours and then prevented from traveling to the Ukraine for 5 days. The Israeli Shin Bet is accusing captive Dirar Abu Sisi of developing the missile systems belonging to Hamas movement in the Gaza Strip and of being affiliated with al-Qassam Brigades. He was also accused of receiving special and intensive training from the Ukrainian expert at the Kharkov engineering Military Academy, Konstantin Petrovich, who is an expert in the Scud missiles' control systems. The Israeli occupation authorities have released the detained MP Sheikh Mohammed Jamal Natshe, 54 from the city of al-Khalil, after an administrative detention that lasted nearly two years. 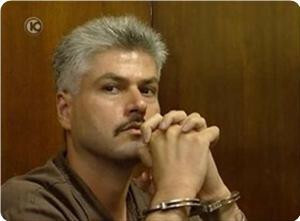 The occupation authorities arrested the MP Natsheh on the 11th of January, 2011, just four months after his release from Israeli occupation jails after an earlier arrest that had lasted eight years and a half. The masses, including Dr. Aziz Dweik speaker of the Legislative Council and a number of MPs for al-Khalil Governorate, Jerusalem, Ramallah and Tulkarem, gathered at the Beitunia checkpoint for the reception of the liberated MP Natsheh. Hundreds of supporters of Hamas and leaders of several Palestinian factions have also taken part in the reception of Natsheh, roaming the city's streets and raising Hamas's green flags. 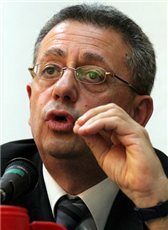 For his part; Dr. Aziz Dweik, the speaker of the Palestinian Legislative Council told PIC's reporter that "the release of MP Mohammed Jamal Natsheh is taking place in a sensitive and important period", adding that it represents a new victory achieved by the Palestinians and a new start for Hamas movement as well as the Palestinian people. 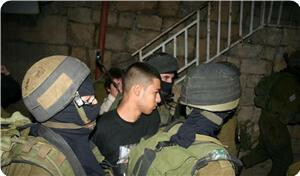 Israeli occupation forces (IOF) increased their campaign of arrests in the West Bank and occupied Jerusalem at dawn Thursday and rounded up 17 Palestinians. 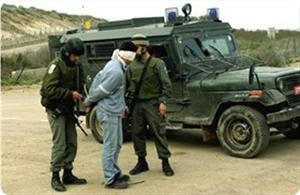 The Hebrew radio said that four Palestinians were nabbed south of Nablus while local sources in Al-Khalil said that five were rounded up in the province. The sources said that three minors detained in Beit Ummar, to the north of Al-Khalil, after searching their families’ homes. Two other Palestinians were arrested one in the Old City of Al-Khalil after storming a number of suburbs in the city, and one in Yatta village, south of Al-Khalil, after setting roadblocks to its entrances and in the vicinity of two other nearby villages. 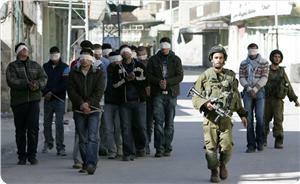 Locals in Bethlehem said that three Palestinians, all from Takatka family, were detained. Local sources in Jenin said that IOF soldiers arrested two brothers from Yabad village to the south west of Jenin city and interrogated family members of Muayad Qabaha. Three Jerusalemites from Issawiye village were also rounded up at the hands of the occupation forces at dawn Thursday including two brothers. Violent confrontations have erupted on Thursday morning between the occupation forces and Palestinians, in different parts of the occupied West Bank. 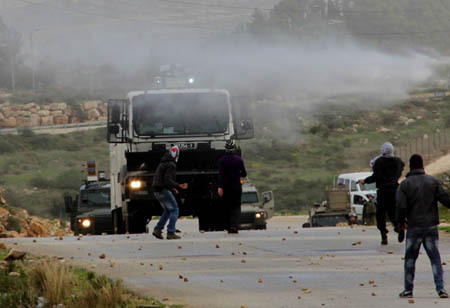 In the north-east of the city of Ramallah, specifically in the town of Silwad, clashes took place between Israeli soldiers and Palestinian youths from the town, on Thursday morning. Eyewitnesses told PIC correspondent in Ramallah that Israeli soldiers fired during clashes live bullets towards school students who pelted Israeli soldiers with stones and empty bottles, noting that there were no casualties among the Palestinians. In the city of al-Khalil, more than 20 people were injured at dawn on Thursday, including serious injuries, after clashes broke out in Yatta, south of the city. Local sources said that Israeli forces stormed the area al-Shaaben in the town of Yatta, south of al-Khalil, where IOF fired heavily tear gas towards Palestinian citizens, which led to clashes, during which more than 20 people suffered from suffocation, including the child Mohammed Abu Qbita, 12, who was seriously injured by a gas bomb in his head. 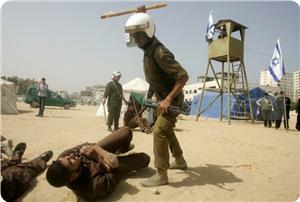 The sources added that the clashes have lasted all the night until dawn. Local sources said that the Israeli occupation forces arrested three youths in the town of Beit Ummar, Taha Abu Maria, 14, Jihad Nasser Akhalil, 16, Ahmed Ayman Akhalil, 16. Meanwhile, Israeli occupation forces stormed at dawn today, the city of Nablus in northern West Bank, to protect the Israeli settlers who came to Youssef Tomb in the city to perform Talmudic rituals. Eyewitnesses said that dozens of military vehicles accompanied the Israeli buses and cars carrying hundreds of Israeli settlers who came to visit Youssef’s Tomb, east of the city. The same sources added that the clashes erupted in the area between Palestinian youths and Israeli soldiers who fired tear gas, resulting in a number of suffocation cases. Palestinians threw stones and empty bottles before the withdrawal of the Israeli troops and settlers in the early morning hours. In the village of Urif southwest of Nablus, clashes have erupted between Palestinian youths and Israeli soldiers and settlers. A member of the village council confirmed that settlers from the Yitzhar settlement established on the lands of the village and neighboring villages, attacked citizens in the southern side of the village near the village's high school, pointing out that the students happened to be returning to their homes. He stressed that the Israeli soldiers came to protect the settlers who stormed the village and started firing stun grenades and tear gas towards the citizens. Israeli settlers have repeatedly stormed the Tomb which was an Islamic mosque built over a tomb of an Islamic Sheikh named Youssef Dweikat from the town of Balata. It was seized by Israeli settlers just after the occupation of the West Bank in 1967 under the pretext that it contains Tomb of Prophet Youssef. Israeli prison guards and special forces attacked Palestinian prisoners in two prisons on Wednesday wounding four of them, the Palestinian prisoner’s association said in a statement on Thursday. It said that joint forces of Matsada, Nahshon, and Dror attacked wards 4, 6, 9 in the Megiddo jail wounding four prisoners, adding that ward 4 was closed. The statement said that other units stormed ward 14 in Nafha desert prison last night and injured a number of prisoners in the process. It said that the soldiers searched the detainees and damaged their belongings in the process in rooms 94 and 95. 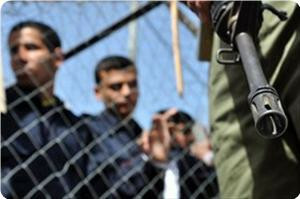 The association noted that the Palestinian prisoners have complained of growing provocations on the part of the Israeli prison administrations against them. Shireen Al-Issawi, the sister of hunger striker Samer Al-Issawi, has called for greater support for the issue of hunger striking Palestinian prisoners in Israeli jails. She told the PIC in an interview that the Israeli occupation authorities (IOA) refused to allow medical checkups on her brother, whose health condition is deteriorating. Shireen, a lawyer, criticized the Palestinian Authority for not heading to the UN, human rights groups and the international criminal court and filing complaints against Israel’s practices and crimes and to demand freedom for the Palestinian prisoners. 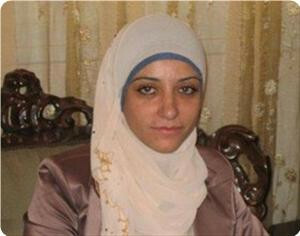 The PA should exploit the hunger strike by a number of prisoners and expose the Israeli practices against them, she said, adding that the PA should also ask Cairo to intervene in the issue in its capacity as the patron of the prisoners’ exchange agreement that stipulated among other things that those freed in the agreement would not be re-arrested and also limited the use of the administrative detention policy. Shireen said that the Israeli court decision banning her from attending her brother’s court hearings was part of the psychological pressures on him. The Israeli occupation forces (IOF) raided at dawn Wednesday a number of homes in Nablus and Tulkarem cities and kidnapped seven Palestinian young men. Local sources reported that the IOF stormed Nablus city from the east and moved to Dahiya neighborhood where it kidnapped five young men from their homes. Other reports talk about more arrests in different parts of the city. In Tulkarem city, the IOF also kidnapped on the dawn of the same day two students from Khadouri university after a raid on their apartment near the campus. In another context, Ahrar center for prisoner studies and human rights accused the IOF of violating the privacy of Palestinians during their raids on homes. The center said it received dozens of testimonies from dozens of Palestinians detained recently complaining that the IOF had kidnapped them from their bedrooms after destroying the doors of their homes suddenly. The ex-detainees said Israeli troops snatched them from their beds quickly and take them handcuffed and blindfolded without even allowing them to change their sleeping clothes. Ahrar considered such arrests a way of intimidation intended to cause a sudden rush of panic among the families and called on human rights groups to necessarily move to fight such incidents that started to rise dramatically in recent times. The health of hunger striker Jafar Ezzuddin is rapidly deteriorating in Israeli captivity, his wife Um Hamza told the PIC reporter in his hometown of Arrabe, Jenin on Tuesday. She said that her husband has lost 12 kilograms of his weight so far and was suffering unstable blood pressure and weakness to the extent he could hardly move by himself. The wife quoted the lawyer as saying that Jafar’s condition was worsening daily but he was adamant on continuing in his hunger strike until the Israeli administrative detention decision against him was aborted. She said that she went on hunger strike four days ago in solidarity with her husband after receiving news of his deteriorating health condition, and demanded urgent intervention to secure his release especially when he did not heal from his first hunger strike. Jafar, 41, had gone on hunger strike for 54 days in rejection of administrative detention and was released a few months ago following his strike but the Israeli occupation forces arrested him anew after the Israeli aggression on Gaza and ordered his incarceration in administrative custody, without trial or charge. The Tunisian Association to Support Palestine has organized on Wednesday a sit-in outside the UN headquarter in Tunis in solidarity with the Palestinian strikers in Israeli jails, and protesting against the administrative detention. The sit-in was attended by the liberated prisoner Mahmoud Sarsak and representatives of Palestinian students in Tunisia and representatives of the Palestinian Islamic bloc. The Tunisian association, represented by Olfa Toumi, called on the UN to intervene urgently to save the Palestinian prisoners’ lives, particularly Ayman Sharawna and Samer al-Issawi, and to protect the third convention on the treatment of prisoners of war during times of conflict. Mahmoud Sarsak stressed in his speech on the difficult conditions suffered by the prisoners in Israeli jails, denouncing the human rights organizations’ role that does not live up to the Palestinian prisoners’ sacrifices. For his part, the representative of the Islamic bloc thanked the Tunisian association to support Palestine for organizing the sit-in and thanked the Tunisian revolution for giving this opportunity to defend the prisoners’ freedom on international level. The sit-in was ended by handing a protest letter to the UN representative in Tunisia, demanding urgent and immediate international intervention for ending the administrative detention. According to Ministry of Detainees and Ex-detainees in Gaza, a state of tension between the prisoners and the prison administration has prevailed Eichel prison, following the attack on prisoner Mohammed Misbah. The ministry said in a statement that the state of tension has prevailed in the prison after the Israeli forces attacked Misbah and transferred him to the solitary confinement. It added that there are fears that the prison administration will carry out break-ins into some of the prison's rooms and suppress the prisoners who have expressed their solidarity with prisoner Mohammed Misbah. The prisoners' spokesman and the prison administration have been holding negotiations for halting the attacks on captives and releasing captive Misbah from the solitary confinement. The ministry warned that "the continued attacks on prisoners will result in further deterioration of the prison conditions and will drive the detainees to take more escalatory and protest steps against the prison administration, which refuses to respond to their legitimate demands." The International Committee demanded the Red Cross and the human rights organizations to immediately intervene in order to stop the Israeli arbitrary procedures against the Palestinian captives. The Israeli Magistrate's is scheduled tomorrow morning to look into the case of prisoner Samer al-Issawi, 30, who has been on an open-ended hunger strike since 150 day. The lawyer, Shirin al-Issawi, pointed out in statements published on her Facebook page that the Israeli court had postponed the hearing session of her brother captive Samer al-Issawi for Thursday the 27th of December, after he and his family were attacked in the courtroom during the previous session. 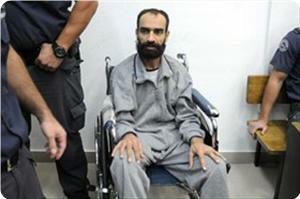 Al-Issawi was an ex-prisoner liberated under exchange deal signed between the Israeli government and Hamas movement. He has been re-arrested to be tried for the same charge that had led to his previous arrest, which is seen as a breach of the exchange deal's terms. The Israeli Ofer Court held today at 10:00 am, for the appeal hearing submitted by the captive Sheikh Tariq Ka'adan, who has been on hunger strike since 31 days in protest at transferring him to the administrative detention. Ka'adan family members told PIC's reporter that they will try to attend the appeal hearing and that they have called for a sit-in in front of the Ofer prison gate. Muawiya Ka'adan, the brother of prisoner Tarek, called on all the young activists in the Palestinian cities, the Ministry of Prisoners and Palestinian Prisoners Society to support them during their sit-in, stressing on the need to continue the popular and official events supporting the issue of detainees in Israeli jails. Captive Tarek Ka'adan, a resident of the town of Arraba south of Jenin, had been arrested on November 22, and has launched his open hunger strike since November 27 to protest at the decision to transfer him to the administrative detention for three months that can be extended.